Sauber's two drivers are facing the prospect of losing their places in formula one after the 2017 finale in Abu Dhabi this weekend. It is almost certain that Charles Leclerc, a Ferrari junior and the new Formula 2 champion, is replacing Pascal Wehrlein for 2018. When asked about that, German Wehrlein said on Thursday: "I don't know. But I don't think that this is my last formula one race." It is not believed Mercedes-linked Wehrlein is a major candidate for the Williams seat, but he could either become a reserve driver next year or return to DTM. "It is still unthinkable that I won't race next year," he said in Abu Dhabi. "Racing is my priority, and preferably in formula one." 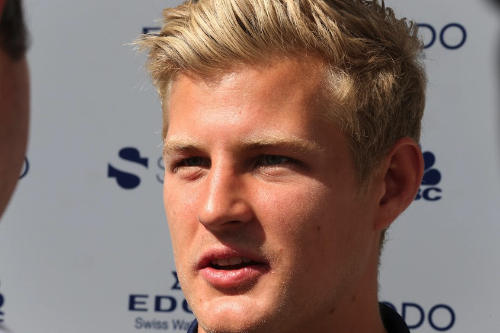 Another strong rumour is that Marcus Ericsson could also lose his Sauber seat for 2018, despite his strong links to the Swiss team's current owners. The Swede admitted that Sauber is his only option in F1. "The chance is good, but unfortunately nothing is decided, which feels strange at the last race of the season," said Ericsson. The rumour is that Ferrari is pushing Sauber hard to accommodate its other junior driver, Antonio Giovinazzi. It is expected that Sauber will also be sponsored by Ferrari-linked luxury carmaker Alfa Romeo in 2018. Ericsson said: "I understand that there are talks with Ferrari about how big the collaboration will be, and I know that Ferrari wants to have two drivers on the team. "That's my main concern right now," he admitted. The Leclerc-Giovinazzi-Alfa Romeo rumours come amid chatter that an official announcement could be made by Sauber this weekend in Abu Dhabi. Ericsson said: "I have not signed anything, so if they make an announcement, that's not good news for me. "My management is keeping the options open and has contacts with other series," he added.